Love Dr. Leigh Anne Wade - she makes every appointment feel special and immediately puts you at ease! Would recommend toanyone looking for a kind and patient doctor. Love Dr. Leigh Anne Wade - she makes every appointment feel special and immediately puts you at ease! Would recommend to anyone looking for a kind and patient doctor. “ESTABLISHED PATIENTS PLEASE DO NOT BOOK AS A NEW PATIENT” FOR NEW PATIENT “IF YOU SCHEDULED AN ANNUAL AND ARE ACTUALLY A NEW PATIENT TO THE PRACTICE YOU WILL NOT BE SEEN. SO PLEASE MAKE SURE YOU SCHEDULED APPROPRIATELY AS A NEW PATIENT.” “FOR CONFIRMATION OF PREGNANCY PLEASE CALL THE OFFICE AT 212.219.1187. 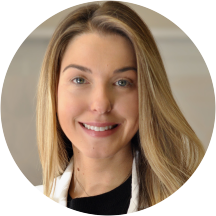 PLEASE DO NOT BOOK THROUGH ZOCDOCK” "IF YOU HAVE NOT BEEN SEEN FOR 3 OR MORE YEARS YOU ARE CONSIDERED A NEW PATIENT" Dr. Leigh Ann Wade is a friendly and experienced OB-GYN serving her patients in New York, NY. She is currently affiliated with New York University Elaine A. and Kenneth G. Langone Medical Center. Dr. Wade offers her patients a number of services, including annual physicals, pap smears, birth control, menopause consultations, genetic counseling, and post-partum visits. She welcomes patients to her practice who are experiencing acne, urinary tract infections, abdominal pain, STDs, and ovarian cysts. Dr. Wade received her undergraduate degree from Louisiana State University, her medical degree from St. George's University, and she completed her residency through North Shore University Hospital. I highly recommend Spring Ob/Gyn and in particular Dr. Wade who was attentive, personable, thorough and has the best bedside manner I've ever experienced. She instantly put me at ease. A gem! Also the nurses and receptionists were wonderfully helpful and friendly. Dr. Wade was so kind, friendly, and professional. I am definitely going to make my next appt with her. Everyone in the office was great and I waited no time at all. Dr. Wade was incredibly welcoming and spent time before the appointment began to answer any questions I had. She was conversational throughout and very caring. Very kind doctor, great bedside manner - overall a comfortable experience! Super nice staff, and Leigh Ann Wade was very kind and helpful in answering all my questions! The staff was so nice. I was early and a staff member came over to me in the waiting room and acknowledged me. That was special to me because it made my visit feel more welcomed. So wonderful and made me feel so comfortable. Highly recommend! I went for an annual checkup. This was my first time seeing Dr. Wade. I waited for about 8 min before being called back. The nurse took BP/weight etc and then I waited for about 3-5 min before Dr. Wade cameinto the room. She was very professional and friendly and put me at ease (considering you are essentially getting naked in front of a total stranger). She also answered all of my questions well. I plan on going back next year! Dr.Wade is amazing, she makes me feel very comfortable and is very easy to talk too, she listens and recommended a primary Dr. which i needed. I would recommend her 100 % she is very knowledgeable and knows her stuff,.she is an excellent Dr.
Dr. Wade was wonderful! This was my first visit. She is very sweet and personable. I will definitely come again for my next annual. This was my first pap smear and I also got an IUD inserted. She was so sweet and very understanding. So glad I found her!!! She was super relatable. Great with explaining what she is saying and is informative. I recommend her! She’s wonderful, so easy to talk to and always remembers me ( or at least seems to! ), even if I’ve only been in for an annual. This was my second visit at Dr. Wade's office, and I think I've finally found "the one!" I arrived to the office a few minutes early, and I was taken into my room within, literally, two minutes by the nurse. Then,after the nurse took my vitals, Dr. Wade came in within minutes as well. She is extremely personable, friendly and bubbly. I felt completely taken care of, and she listened to everything I told her. She and her staff are amazing--super efficient and very kind. I almost didn't want to post this review, because I don't want her office to get so busy that it sacrifices what's so great about it ... but I think they've figured it out! They're AMAZING! Dr. Leigh Ann Wade is wonderful! Always asks questions, listens, and is generally very kind. Dr. Wade was so nice, friendly, professional, and helpful. She made me feel comfortable and answered all of my questions. The office itself was run very efficiently. Dr. Wade was truly wonderful! Being brand new to NYC, I feel very lucky to have found a quality OB-GYN. I’ll go back to Dr. Wade for sure. She was on-time, very knowledgeable, not pushy, efficient, and kind. Everything you want from a doctor. Highly recommend. Amazingly attentive, efficient, and answered all my questions. Dr. Wade was very friendly and made me feel safe! I was running 10 minutes late so I had called in the office to inform. They said it's alright but when I reach there tell me they don't have enough time for doctor to see me. I had a 2 hour travel for the appointment. Disappointed!! My visit was Dr. Wade was excellent. She was so friendly, warm, and considerate that it made the visit go by very quickly. She was also extremely responsive to all my questions and helpful in giving me the information that I needed. I highly recommend her. This was the quickest waiting time ever. I literally went in, signed 1 form and was seen right away. Dr. Wade is superrrr sweet. I was here for an annual pap smear, but also to get her 2nd opinion on somethingthat was bothering me postpartum. I was so emotional and almost broke down in tears, but she listened and made me feel better during the whole visit. She's literally a best friend in a doctor form. I bumped into a high school friend at the office, who her baby was delivered by them. She said she loves all the doctors and they take good care of you. I feel so fortunate to have found a good gyno. Looking forward to come here when I get pregnant again. Personable and comprehensive. Always makes me feel at ease. Dr. Wade is very friendly, but I needed a prescription that was urgent. I didn't receive the prescription until a couple days later. Other doctors who I've been to have treated this issue with more care and urgency to make sure I took care of my condition right away. She was absolutely lovely. It was my first time going to her and I don’t believe in online ratings just because I’m in customer service and people lie just because they can. But I went through the reviews and I’m closeto the location and I arrived about 15 mins before my appointment. I was seen at exactly the time of my appointment. Everyone was so nice and being a female you want to feel like you can trust these people who are dealing with your body and information. I truly thought she was an amazing person. She was so nice and very attentive to me. Thanks Dr. Wade ! Loved this doctor!! Probably the first doctor I’ve had in awhile that’s given me information without me having to ask. It was such a pleasure to be with her. I am definitely going to keep seeing her. I recommend Dr. Wade to everyone I can! Everything is so quick, clean, and she is so personable it makes going to the doctor not so bad! My visit was so incredibly helpful! I was in so much pain and I received fast help and answers. It was so very much needed and I would recommend this place to any one who is in need of really great care! Dr. Wade was amazing. She's easy ro talk to and made me feel really comfortable asking questions, voicing my concerns and she was veey informative. Just amazing! She was able to identify my issue and provide support/guidance. Excellent doctor very friendly and was very patient in answering all my questions. The physical office wasn't the cleanest place, but Dr. Wade was warm and comforting! The front desk staff seemed kind and efficient. I would recommend. She is literally the best! So friendly and welcoming and also very quick while still answering any questions. Great overall practice and nice Dr! Such a sweet doctor and very helpful. Thank you! I loved Dr. Wade. I am typically anxious at the doctor and she immediately put me at ease. She was professional and kind. The wait was very short. Overall, impressed by her and the efficiency of the office. The lady at the front desk was so sweet and helped me with all of the forms, which were not excessive or difficult. The nurse was also engaged an friendly, as was Dr. Wade. She was personable, showed interest, and was chatty, we were done before I knew it! I had an amazing experience at Dr. Wade's office! I was seen right on time and the staff was very professional and kind. Dr. Wade was so attentive and really took the time to get to know me and answer allof my questions. I would definitely recommend to anyone new to NYC and looking for an OBGYN, and I will be going back for my check up next year! Dr. Wade is extremely professional and makes a conscious effort to make sure you are comfortable. Since this appointment, I have communicated with her via email and made another appointment with her and she was extremely helpful on each occasion. I would definitely recommend making an appointment with her. She is so lovely and caring, really makes everything very comfortable!